The recent data breach at Equifax, one of the three major credit reporting bureaus, has created an uncomfortable situation for the more than 145 million American consumers whose personal information has been exposed. What do I do to limit damage from the Equifax data breach? See if your information was exposed (likely, it was). Monitor all credit card and bank accounts. Order a free credit report at annualcreditreport.com and check suspicious activity. But the most proactive step is to freeze your credit. That decision has great advantages – no one, including you, can access your credit report until you unfreeze (better known as “thaw”) the report using a pin number or phrase. This choice also comes with great costs in terms of money and inconvenience. But before exploring the pros and cons of that decision, let’s touch on the basics. Credit Freeze: What Is It? A credit freeze essential makes your credit report inaccessible. That means the lending institutions that want that information – credit card companies, banks, credit unions, auto dealers – can’t look at the report before deciding to extend credit. There are exceptions. You can access your own records, obviously, along with pre-existing creditors, debt collectors and assorted others. The freeze will have no impact on your credit score, but it protects your information, including your vital Social Security number. The upshot: If new lenders and credit furnishers can’t view your credit history, it’s not likely they will approve a new credit line in your name. That would inhibit any potential identity thieves. Observers of illegal activity agree that most criminals quickly seek other opportunities if roadblocks are placed in their way. Credit Freeze: How To Do It? Contact each of the major credit bureaus (Equifax: 800-349-9960 or go to Equifax online; Experian: 888‑397‑3742 or go to Experian online; TransUnion: 888-909-8872 or go to TransUnion online). Your fee (generally up to $10, sometimes free, depending on your state’s policy) will initiate the freeze. It locks your credit file so no one can access it unless you give direct authorization to the credit bureaus (through a PIN or password). Be sure to store your PIN/password in a secure location. Another fee (typically less than $20) is necessary to thaw your credit when giving access to potential employers, lenders, utilities or landlords. It takes a few business days, so don’t expect instant access. Equifax is offering free credit freezes through Jan. 31, 2018. Is a credit freeze for you? If you have a mortgage and don’t plan on moving, if you likely don’t need an auto loan or a new credit card, it could be an excellent option. Here are some of the benefits of a credit freeze. Peace Of Mind: It’s very intangible, but it’s huge. No one can open credit accounts in your name — Creditors will want to see your credit report before approving a new account, regardless of whether it’s you or an identity thief. Knowing that you’re safe will save you the worry, hassle and cost that comes with having your identity stolen. It’s Easy: It just takes a phone call or a few clicks on the Internet. You must supply your name, address, date of birth, Social Security number and other personal information. No Updates Are Needed: The freeze remains until it is lifted by you. It can be lifted for a particular creditor, then go back into effect on your instructions. Business As Usual: Your existing creditors — such as bank lenders and credit-card companies — will still have access to your credit report. What is the downside of a credit freeze? Cost And Inconvenience: Maybe the cost won’t break the bank, but it generally requires a fee to impose the freeze and to lift it temporarily. Also, it might take a few business days to lift the freeze, so planning ahead is necessary. It’s inconvenient to not have immediate credit-report access for legitimate reasons (such as a potential employer). 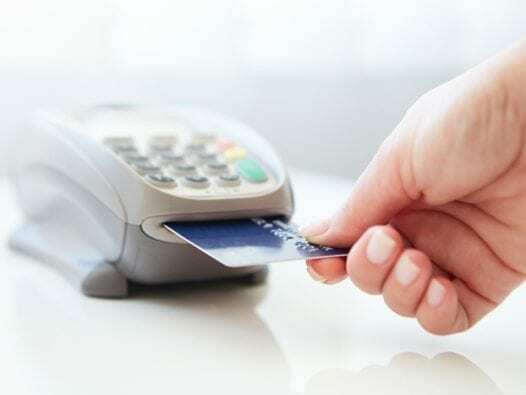 If a PIN/password is lost or misplaced, that adds complications, particularly if a new credit line is needed quickly. Might Be Unnecessary: Depending on the situation, a credit freeze might be unnecessary. Some people can provide protection simply by changing passwords and self-monitoring. Protection Isn’t All-Encompassing: Your existing accounts won’t be protected. What if data thieves already have enough of your personal information? They could still get into your accounts for credit cards and banks. They could still use your Social Security number to land a job or obtain prescription drugs. So, there’s never guaranteed security for everything. You still must monitor your accounts for fraudulent transactions. If the freeze/thaw possibilities have worn you out, there are other safety measures you can put in place. Setting up 90-day fraud alerts might be a good move. They tell potential creditors to verify your identity before issuing credit in your name. When requesting fraud alerts from one credit bureau, the other two kick in automatically. And the best part: It’s free. The initial fraud alert signals to lenders that you’re concerned about the safety of your personal data. Various safeguards will be employed, such as a lender contacting you by telephone to verify your identity. Your risk of identity theft could outlast the 90-day period, so it’s crucial to remember to renew the alert each time it expires. The presence of an alert probably won’t allow you to get instant credit approvals, but that’s an inconvenience that’s exchanged for the precaution. Vigilance is also a good policy. It might pay to invest in a good paper shredder. It’s also good practice to read all your mail before pitching it into the trash. What looks like a random solicitation could be a letter from a company asking if you have opened an account with them. Eva Velasquez, CEO and president of the nonprofit Identity Theft Resource Center, suggested practicing “identity hygiene’’ and following the acronym SHRED. Strengthen Your Passwords and Privacy Settings — Choose personal and unique passwords for sensitive accounts, such as email and bank accounts. Change your passwords every 90 days. Handle Personal Information With Care — Don’t post personal information online and shred all mail that contains identifying information. Read Credit Reports Regularly — Don’t just check your credit score and move on. Utilizing AnnualCreditReport.com, you can check each of your reports from the three major credit bureaus once a year at no cost. Trying checking one of them every four months and put a reminder on your calendar. Empty Your Purse And Wallet — Don’t make it easy for thieves. Don’t carry highly valuable information, such as your Social Security card. Discuss With Friends — Make it a habit to discuss identity theft with your friends. If a friend is targeted, you could be next. It’s easy for scammers to rifle through an address book. Beware. Also check credit card and bank statements for weird charges that you didn’t make.